Our 2015 Flag Program has now ended for this year. 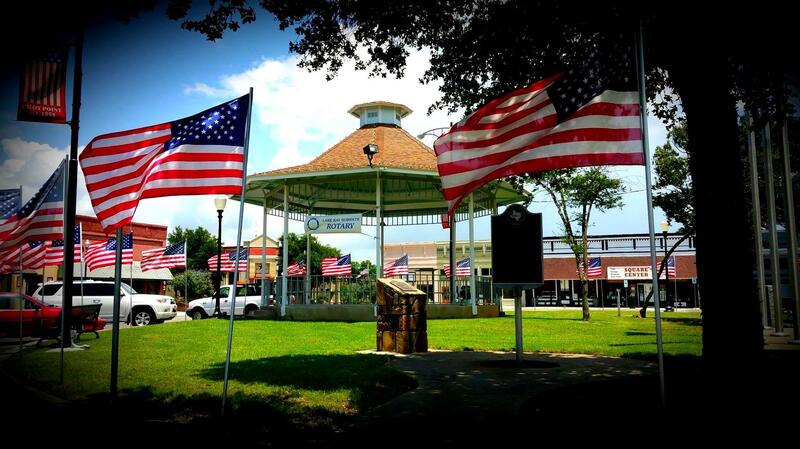 Our Flag Program consists of flying flags on the following days: Memorial Day, June 14th (Flag Day), Fourth of July, Labor Day, September 11th, Columbus Day and Veterans Day. We ended this year with Veterans Day last week. We have several different teams of Rotary Club Members that put out the flags and pick them up. This year we set out and picked up 262 flags on our special days. Most of the flags are inside the city limits of Pilot Point. There are 32 flags in Timberlake, 25 flags in Butterfield Junction, and 18 flags in the Yellow Rose addition. 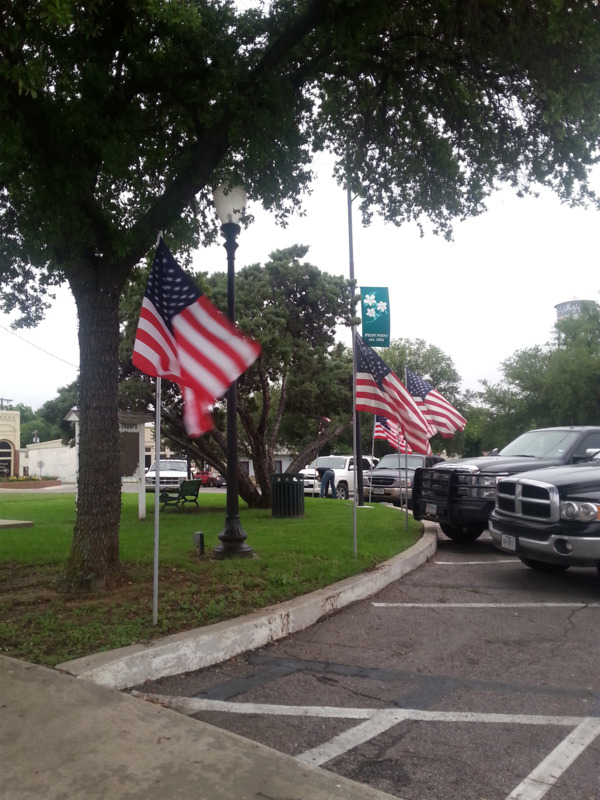 We also put out 8 flags in the Aubrey area on the north side of Aubrey. The flag program helps funds our Lake Ray Roberts Rotary Club programs: Senior Scholarships, the Shepherd’s Storehouse,School Supplies, Dictionaries for Pilot Point and Tioga 3rd Graders, PilotPoint Education Foundation, Special recognition for scholastic achievers in Pilot Point ISD, National Night Out, Pilot Point Angel Tree, Rotary Youth Leadership Awards, International Polio Drive and other community needs as they arise. We thank those that were a part of our 2015 Show Your Colors Flag Program! We hope you loved seeing the flags waving on each special day. We will begin accepting applications for next year's flag program in March 2016 so be looking to sign up!